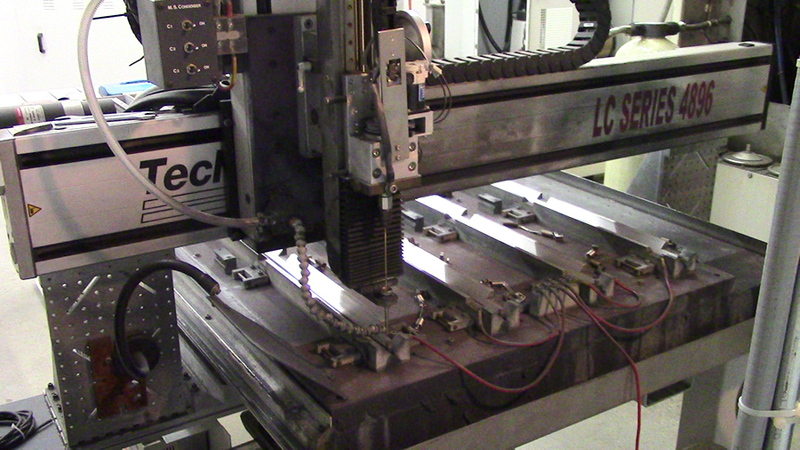 EDM Hole Drilling | Wire Tech EDM, Inc.
Our hole drilling machine are CNC controlled which allows us to burn hole patterns with close locational tolerances. It is also very large allowing for work pieces of up to 1000 lbs. and 20 inches thick. 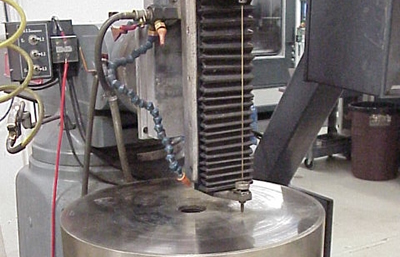 EDM hole drilling was originally used for putting in starter holes for the Wire EDM machines. We still use it for this purpose everyday. We can put starter holes in as small as .015 diameter and as deep as 20 inches. It doesn’t matter if the material is hard or soft, aluminum or carbide. We also use this machine to drill small holes in a variety of types of parts. We can put wire safety holes in parts where the hole goes through a slanted or curved surface and conventional drilling would be very difficult. We can drill a .015 hole in a nozzle where conventional drilling would not be possible. 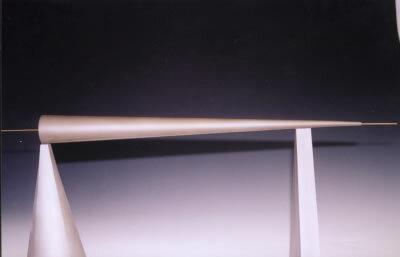 In certain applications we can hold diameter tolerances of +/- .001. 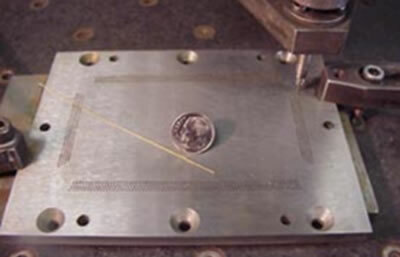 EDM hole drilling works like EDM machining. EDM hole drilling uses an electrically charged electrode that acts like a traditional drill bit. 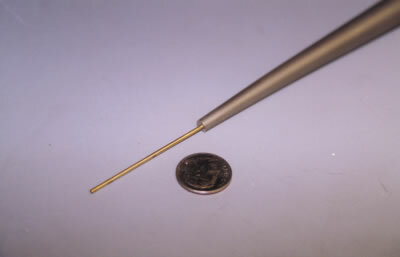 The work piece serves as the second electrode. The electrical discharge between the work piece and the tool rapidly cuts away material. Both the electrode tool and the work piece are submerged in water, which flushes away cutting debris and acts as a safety barrier. Since there is no physical contact between the tool and the work piece, there is no cutting force. This results in high dimensional accuracy. The drilled holes have fine finishes without burrs. For a full list of our equipment click here.